A dental veneer is a thin covering that is permanently bonded to the front surface of a tooth to improve the aesthetics of the color, size, shape, or length of teeth. Dental veneers are an elective cosmetic dental procedure not typically covered by dental insurance. What’s possible with cosmetic dental veneers? Veneers are a great way to dramatically improve the visible aesthetics of your smile. There are two primary types of dental veneers. Dental veneers do not last forever and will require replacement if supporting tooth structure is compromised by dental caries, natural tooth margins of the veneer become stained or discolored, or if the surrounding gum tissue recedes. a custom bruxism mouth guard designed to be worn while you sleep upon completion of your dental veneers. A bruxism mouth guard will help to protect your teeth (including your dental veneers) from chipping or fracture. The dentist will examine your teeth and discuss with you what your options are to improve the appearance of your smile. After your consultation, you’ll meet with one of our patient care coordinators who will provide you an financial estimate for each discussed cosmetic treatment option to allow you to make an informed decision about how best to improve the aesthetics of your smile. Call (763) 586-9988 to schedule a complimentary, no obligation, cosmetic consultation or click the button below to request an appointment online. Dental assistant will take “before” digital photographs of your smile. often less than 0.5mm of the front surface and sides of the teeth are reduced to allow for the adhesion and thickness of the porcelain veneer. Afterwards, the dentist will review post appointment instructions and the dental assistant will coordinate a short appointment at our nearby dental lab with an expert colorist who will create a custom shade match for your porcelain veneers. The second appointment is a short appointment and takes place at the dental lab (only a few miles away). Both you and your dental assistant will meet with a lab technician who is an expert tooth colorist. The lab tech will create a custom shade for your porcelain dental veneers. Dentist will temporarily place your porcelain veneers and check that they are a perfect fit and shade. permanently bond them into place. Upon your approval, the dentist will proceed to permanently bond your porcelain veneers. Lastly, the dentist will review post appointment instructions and have your dental assistant take “after” digital photographs of you newly enhanced smile! Dental assistant will take “before” digital photographs of your smile and select a composite shade that closely matches the shade of your teeth. Dentist will prepare desired teeth for placement of composite dental veneers. Dentist will place and bond composite material in incremental, thin layers on desired teeth to improve the aesthetics of desired teeth. In between each layer, the dentist will cure the material using a dental curing light that emits a blue colored light. This instantly hardens the dental composite material. Afterwards, the dentist will use a variety of finishing tools to smooth, contour, and polish your composite dental veneers. Lastly, you’ll be given a mirror to see the amazing results of your transformation. The dentist will review post appointment instructions and have your dental assistant take “after” digital photographs of you newly enhanced smile! ***Wait one week after whitening your teeth before scheduling dental veneer appointments. This will ensure a more natural shade match for your dental veneers with adjacent teeth. ***If your dentist suspects that you clench and/or grind your teeth, your dentist will recommend fabrication of a mouth guard, worn while you sleep, to protect your new dental veneers from chipping and or fracture. Caring for your new dental veneers is no different than caring for your natural teeth. We recommend that you brush two times per day and floss daily. It is also best to minimize the intake of staining foods and beverages in order to prevent unsightly staining of the margins of your new veneers. Schedule a complimentary cosmetic consultation today! 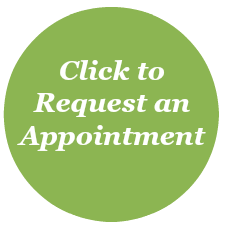 Call (763) 586-9988 to schedule an appointment or click the button below to request an appointment online.